A great venue and an ideal location. 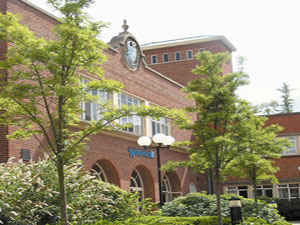 The University of Worcester offers excellent facilities all year round. The University of Worcester offers a wide range of high quality accommodation during the Summer vacation from June to September, including Bed & Breakfast, self-catering and group travel deals. We have over 1,000 bedrooms and a wide range of choices to suit individual needs, ranging from standard to luxury en suite rooms. Our accommodation is suitable for individuals, families and groups and provides the perfect base for exploring the historic town of Worcester and its many attractions. Enjoy everything that Worcester and the surrounding area has to offer this summer! We offer excellent value for money and groups of six or more are eligible for special discounted rates. For larger numbers we may be able to offer a residence for your exclusive use. Setting a new high standard, these brand new Halls include 182 en suite shower rooms at St John’s and 177 en suite shower rooms at our new City Centre residences. All have large, shared kitchen and dining areas, while the study bedrooms are light, airy, spacious and fully furnished in a contemporary style, You’ll find flat-screen TV’s in the communal areas and Wi-Fi connections throughout. St John’s flats each accommodate between 7 and 8 guests and City Centre between 4 and 7 guests. If your own bathroom is important, this is a great choice. Our 2 St John’s en suite Halls have 6 flats over 3 floors, each made up of 6 or 7 study bedrooms. Each room has an en suite bathroom with washbasin, shower and toilet. Each flat has a large, shared, fully equipped kitchen. Located in the centre of Worcester, close to all the city’s great attractions and with Foregate Street station nearby, this spacious en suite accommodation is arranged into 10 flats over 5 floors. Each flat has a large, shared, fully fitted kitchen and dining area – this is an ideal choice if you want to be in the heart of the city. This is a great choice if you are looking for good quality accommodation on a budget. The Halls are laid out in an attractive ‘village style’ environment and have the added benefit of a central laundrette for guests to use. Each of the St John’s standard Halls has 4 or 6 flats over 2 or 3 floors with 6 study bedrooms. There are 2 toilets/shower rooms per flat and each bedroom has a washbasin. Fern Hall consists of 3 five bedroom houses and 1 three bedroom house with off-road parking, situated adjacent to the St John’s Campus. There is 1 en suite bedroom per house and the rest have shared bathrooms and shower rooms. Each house also has a fully fitted kitchen/dining room and lounge. All bedrooms have high-speed internet. These houses are finished to a high standard and are ideal for groups of friends or colleagues. Avon and Ledbury have 34 flats over 3 floors, each with 4 or 6 study bedrooms. Each flat has a shared kitchen and lounge area. There is a bathroom, shower room with toilet and other separate toilet in each flat. Situated adjacent to each other, these Halls are the perfect choice for groups on a budget.